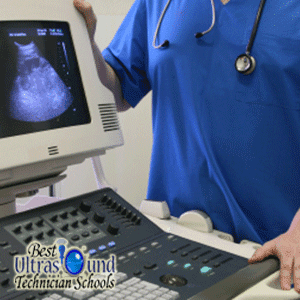 Becoming an sonography technician can be a very rewarding professional career. Compared to other fields with the same amount of education, the salary is higher than average as well. It is also a growing field, so employment opportunities are easier than some other fields. When considering where to go to school to get your sonography technician certification, Phoenix, Arizona has several options for you. Here is a quick look at how you can become a certified sonographer in Phoenix. There are 4 schools in which you can receive accredited sonography technician certification: Everest College-Phoenix, DeVry University-Arizona, GateWay Community College, and Phoenix College. Each school is located in Phoenix, and has an ultrasound program worth considering. It is important to note that Sanford-Brown College at Phoenix voluntarily withdrew from their accreditation from the Commission on Accreditation of Allied Health Programs (CAAHEP), and the accreditation will run out on September, 29th, 2014. The other schools around Phoenix are all based in the city and relatively nearby each other. The average tuition of the Diagnostic Medical Sonography Degrees is $12,460 for Arizona residents, and the tuition for out of state students is $13,617. The cost of books is an additional $1,324. The average salary for sonographer in Phoenix is $69,140. The 10th percentile makes around $56,500, and the 90th percentile makes up to $90,580. There are nearly 600 registered sonography technicians working in Phoenix, this makes up the bulk of the over 800 technicians living in Arizona. Most of those working in Arizona with a degree in sonography continue to work at Phoenix after graduating from colleges in Phoenix. The diagnostic medical sonography degrees in Arizona do not offer degrees in concentrations (such as chest, abdomen, breast, cardiac, musculoskeletal, neurosonology, obstetrics/gynecology, and vascular technology), they all offer "general" accredidation. Some degrees in Sonography that you can receive from Arizona include - a Sonography/Ultrasound Certificate, and an Associates Degree in Sonography. All in all, Phoenix has opportunities for anyone looking to build a career in sonography. The schools offer quality programs, and the city is a growing city. There are plenty of opportunities for employment even without leaving Arizona.